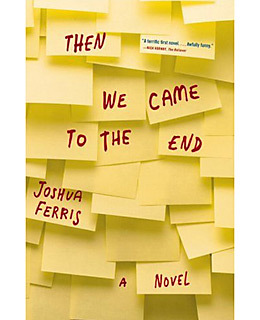 For his first novel, set in the offices of a Chicago ad firm, Ferris synthesizes an entire office culture out of thin air, complete with running gags and stolen desk chairs and illicit affairs and secret hurts. In a dizzying, helium-filled stunt, he narrates the book in the first-person plural  "we" tell the story  so that the entire staff serves as its own Greek chorus. As funny as The Office, as sad as an abandoned stapler, Then We Came to the End is that rare novel that feels absolutely contemporary, and that rare comedy that feels blisteringly urgent.